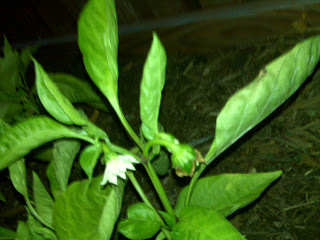 Truckpoetry.net - official blog of Cameron Mathews: Bell peppers!!! Some of the blooms falling off now and leaving small peppers behind. Here they come!! !